Today’s education and economic climates require higher education institutions to collaborate with industries more than ever. In minimising the gap between education and industry, and to ensure graduates are future proof in light of the technological changes impacting the Fourth Industrial Revolution, INTI International University & Colleges created the Faculty Industry Attachment (FIA) programme. The programme enables academicians to work with industries as part of their regular teaching hours and aims to broaden their practical experiences and keep them abreast of the latest developments in the industry. 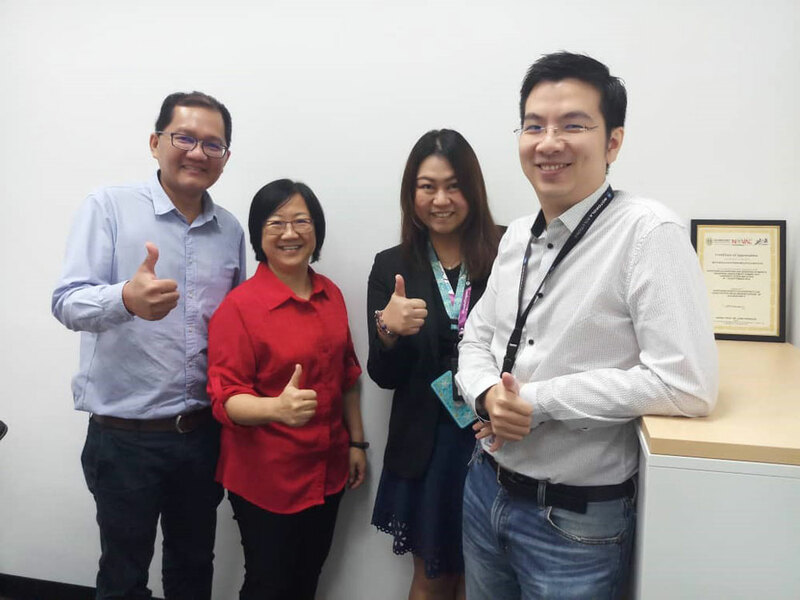 Chionh Hai Pin (2nd from left), Dean for the University of Wollongong programmes at INTI Penang, kicks off her Faculty Industry Attachment with Motorola Solutions Malaysia Sdn. Bhd. Standing with her are (from left) Yeap Chang Lee, Manager of Career Services Office at INTI Penang; Evelyn Teoh, Motorola Finance Manager; and Sherman See, Motorola Head of Finance. Through these real world experiences, lecturers are better equipped to share the expectations of the industry with their students, and share their insights on actual business issues and trends that complement what these future professionals are learning in the classroom. More importantly, through established networks with industry leaders, these lecturers are better able to facilitate internships or jobs for their students. To ensure courses taught at INTI integrate industry-relevant curriculum, the FIA programme creates opportunities for lecturers to undergo an industrial attachment in related organisations for up to 96 hours, an estimate of 2 and a half working weeks. “I had the opportunity to work closely with the Finance Manager, Ms Evelyn Teoh, and learnt about Motorola’s current financial structures and functions. Working alongside this multinational finance team, I was able to understand more about the challenges faced by an MNC in hiring fresh graduates. When I returned to the campus, I was able to share with my students what are the expectations in the work place, and what to prepare for during their studies in order to be well equipped before they go into the job market,” explained Chionh. 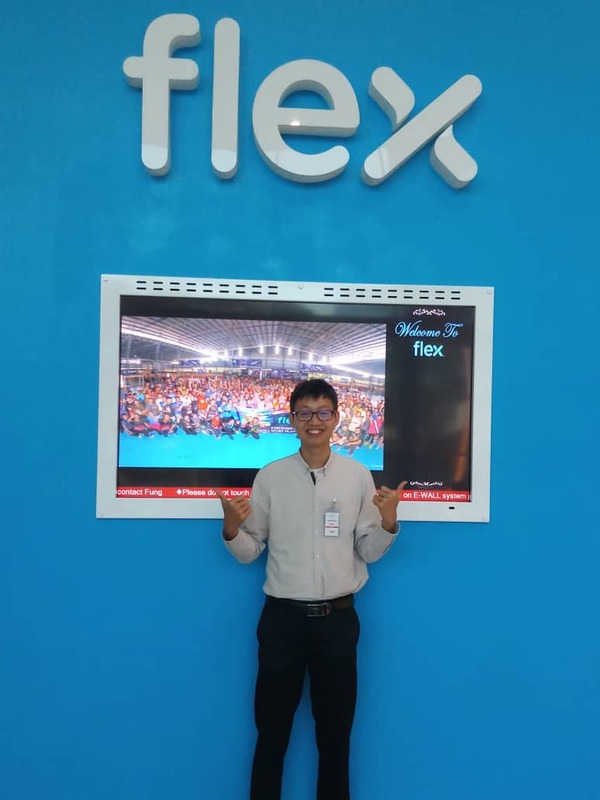 Dr Beh Boon Chun, a physics lecturer with the Centre of Excellence for Pre-University Studies (CEPS), INTI Penang, reports to FLEX Penang for his 12 days’ working stint. “During my attachment, I was paired with a process engineering manager. The daily routine included attending meetings, attending audit sessions on various manufacturing processes, having ongoing discussions with engineers and technicians regarding the manufacturing process, and overseeing the analysis and extraction of raw data from the manufacturing processes,” disclosed Beh. Through the FIA programme, INTI is enabling academicians to gain an in-depth understanding of what a new graduate hire will experience and what the current demands of different industries entail. This is part of INTI’s efforts to ensure students acquire the knowledge and soft skills they need to stand out from among their peers when they begin their careers. To further enhance lecturers’ exposure to industry, INTI has also established Industry Advisory Boards (IAB) which include annual conversations between faculty and industry leaders from Business, Engineering, Hospitality, Art and Design, and Information Technology. With the support of industry leaders to advise INTI’s academic boards on curriculum design and course delivery that meet the expectations of the current workplace, faculty are able to tailor their teaching to ensure students not only gain good academic knowledge but are better prepared to face the future.